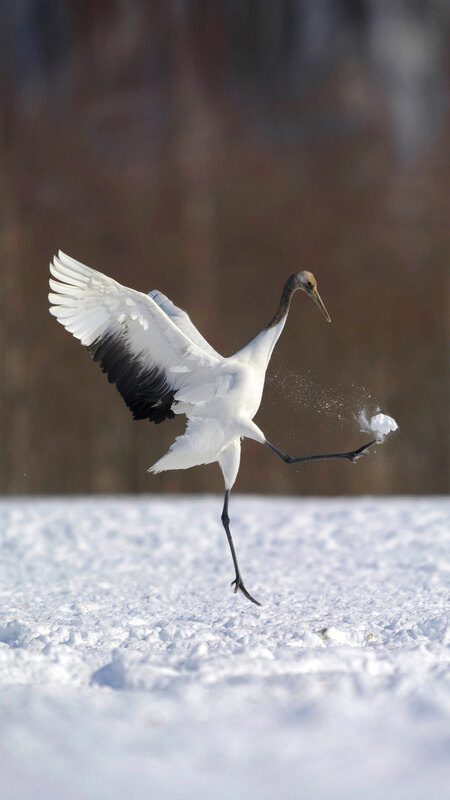 It’s Super Bowl Sunday and this Japanese crane looks like it’s getting into the spirit of things. 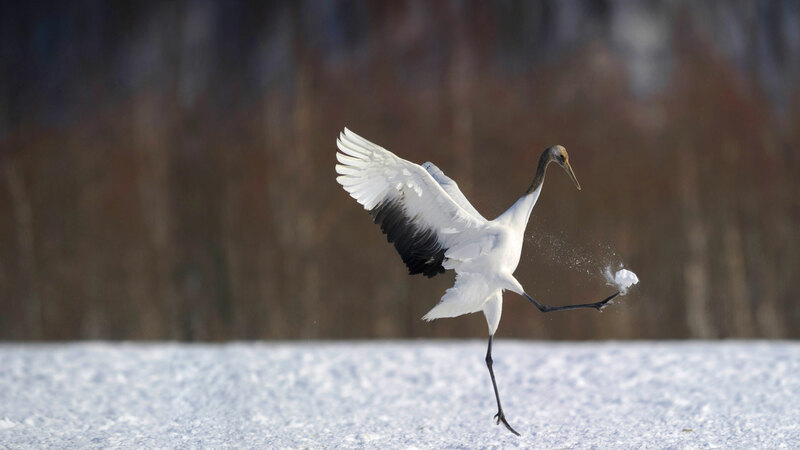 Also known as the red-crowned crane, the species is among the rarest cranes in the world. It’s known in some cultures as a symbol of luck and longevity, making it an ideal football mascot. This particular crane seems to have a pretty good punting leg, to boot. Other animals that have served as good luck symbols around the world include the pig, the mandarin duck, and the albatross. Do you have a good luck charm?